RIFT 3.3: Waking Nightmares will launch on July 15th 2015! Note: Everything below is subject to change and some things might not make it to 3.3. Nightmare Saga Weapons. New skins based on the Ultimate Nightmare Pack. [image]. Planar Crafted Gear. New crafted gear like ‘Destroyer’s Charged Barbute’ that has new set bonus such as ‘Electrocution (0/2): Increases Strength by 250′. Part of Planar Crafting. Armor, weapons and accessories. ETA: 3.3. Crafted gear stats are subject to change. Crafted Fluff Items for 3.3. Crafting professions will be getting a whole variety of fluff items including wardrobe bundles, weapons and disguise/vfx items. You can view all the items here. New Dimension Items for 3.3. A variety of Plane of Water items including glaciers, coral trees, clams, Akylios statues and even a Nightmare furnace. [r] Full list of item names can be found here. You can also check out a compendium of all 3.3 dimension items over at The Dimension Touring Company here! New Raid Dungeon: Intrepid: Gilded Prophecy. New Tier 2 10-man raid, Intrepid: Gilded Prophecy. Will have Easy Mode, Normal Mode and Hard Mode with varying gear/currency rewards. 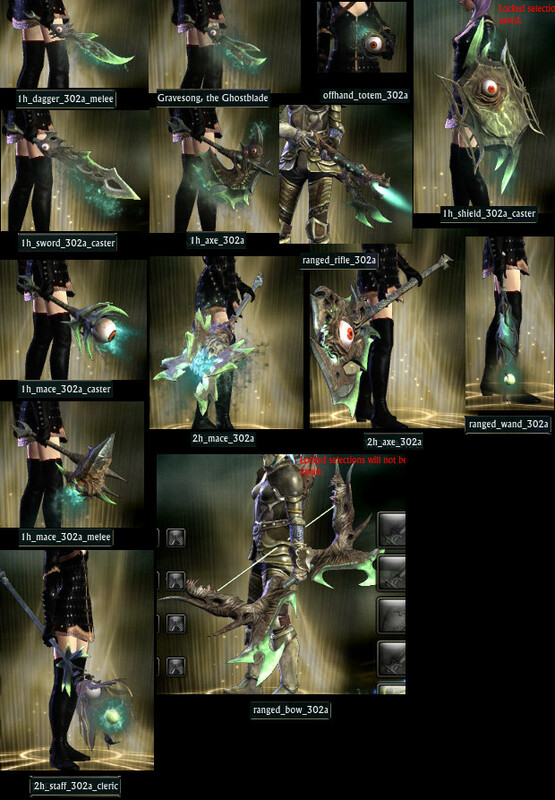 [r] [r] Some examples of IGP loot here. New Loyalty Tier. Silver-tier Loyalty. New mount, title, portrait, pet, Treasure Map Boost and a group/raid-wide buff. [r] Distinguished Levitate Mount preview. [image]. Queue for Random Chronicle. You will be able to queue for a random Chronicle (with daily rewards) in 3.3. [r] [r] Note: Rewards are now half of Dungeon/Warfront Randoms. Shard Vault. Initially 32-slot, this Shard Vault will allow you to store items that can be accessed by all your characters on the same shard. [r] Renamed to Server Vault. There’s also Planetouched Wilds Intro quests on the PTS, but there’s been no information on when these are supposed to hit Live. You can also check out the PTS/Live Comparison Page for all other upcoming changes to the game that either don’t have an ETA or are for 3.4 and beyond. Get ready for RIFT 3.3: Waking Nightmares next week, July 15th 2015! Any word on if primalist is coming out in 3.3 or later? I doubt it’ll be available for 3.3. There’s already a ton of stuff being added in as is. I have a feeling Primalist will come out when Planetouched Wilds zone comes out (so still some time this year…maybe 3.4 or 3.5).